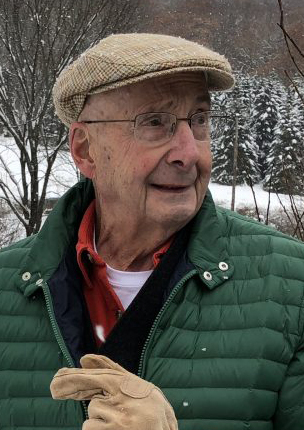 Joseph A. Schueckler, a master gardener and forester who won an appellate court decision blocking National Fuel from running a gas pipeline through his farm in the Allegany County Town of Clarksville, died Sunday in Cuba Memorial Hospital after a period of declining health. He was 81. Mr. Schueckler told Buffalo News reporter T.J. Pignataro in November that cutting a path through his wooded property was like an invasion of his home. “I feel like someone’s come in here and opened up my refrigerator,” he said. The victory in court gave encouragement to other landowners who have fought the gas company’s efforts to gain access to their land via eminent domain. His wife, Theresa, said that he initially thought the pipeline would be beneficial, but changed his opinion as he learned more about it and began negotiating with the gas company. Mr. Schueckler and three friends bought the 200-acre property for a hunting camp in 1963. As the years passed, they sold their shares to him. He and his wife moved there from Buffalo’s University District in 1985. Born in Buffalo, he was a 1956 graduate of East High School, where he was a member of the swimming team. He served in the Marine Corps stateside from 1956 to 1959. Returning from service, he attended night classes at Canisius College, where he became friends with another student, Theresa Mancuso. On their first date, she said, he showed her the property in Clarksville. They were married in 1966. In Buffalo, he was a laboratory technician at Buffalo General Hospital, Roswell Park Cancer Institute and Kenmore Mercy Hospital. His wife was a counselor for the Erie County Department of Social Services. After they moved to Allegany County, he was a lab technician for Empire Cheese in Cuba. His wife became a counselor for the Cattaraugus County Department of Social Services and Cattaraugus-Allegany BOCES. He became a Cornell Cooperative Extension certified master forester and advised owners of private woodlots how to maintain them for the benefit of the trees. He also was a member of the Pfeiffer Nature Center. He served for 12 years on the Clarksville Town Board and was a member of the Breaking of the Bread Franciscan Group. For several years, he also sang with the Olean Barbershop Chorus. In addition to his wife, survivors include a daughter, Gretchen Hodgdon; a son, Otto; a brother, Richard; a sister, Mary Teresa Eich; and four grandchildren. A memorial Mass was offered Wednesday in the Basilica of St. Mary of the Angels, Olean.